Rafael de Grenade is a post-doctoral research associate at the Udall Center for Studies in Public Policy (UC), where she works on IWSN Work Package 3, Transboundary Water Security in the Arid Americas. Rafael’s research, outreach, and teaching has focused on agrobiodiversity, climate adaptation, and food and water security in arid lands, specifically in the binational Sonoran Desert of the Southwest United States, and Sonora and the Baja California peninsula, Mexico. 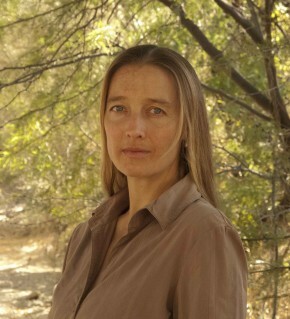 In her research and doctoral studies at the University of Arizona’s (UA) School of Geography and Development, Rafael explored the links among biogeography, cultural ecology, political ecology, and agrobiodiversity of arid regions, with an emphasis on desert springs and oasis landscapes. She uses the tools of biosocial theories, quantitative and qualitative analysis, cartography, and creative writing to develop new ways of thinking about the world’s arid regions. Rafael’s dissertation research examines the ecological, agricultural and cultural processes that affect the agrobiodiversity of oases on the Baja California peninsula and in the U.S.-Mexico borderlands. Agricultural oases are unique in their role as sites of conservation and as rare sources of water in arid lands, and promise to be loci of development in the future. Oases have served over millennia as nexuses of cultural development, desert-adapted farming systems, and guarantors of water security. Rafael has served as the director of the Tucson Oasis Initiative, a collaborative project among the UA College of Social and Behavioral Science, the UA College of Science, the City of Tucson, Pima County, and several regional nonprofit organizations. She also coordinated the UA’s campus-wide Food Systems Network. Via projects sponsored by UNESCO and other organizations, she has worked in or conducted research in over 30 countries. She is fluent in Spanish and over the past decade, she has spent extensive time in Latin America, where she will be developing collaborative research and outreach projects on water-policy issues in transboundary regions of the United States and Mexico, and Peru, Bolivia, Argentina, and Chile, through the Udall Center, the IWSN project, and the UC’s closely-related AQUASEC Center for Excellence in Water Security.